For the second week in a row, Dahria Beatty has achieved a new personal best on the World Cup circuit, proving she can compete with the best skiers in the world. 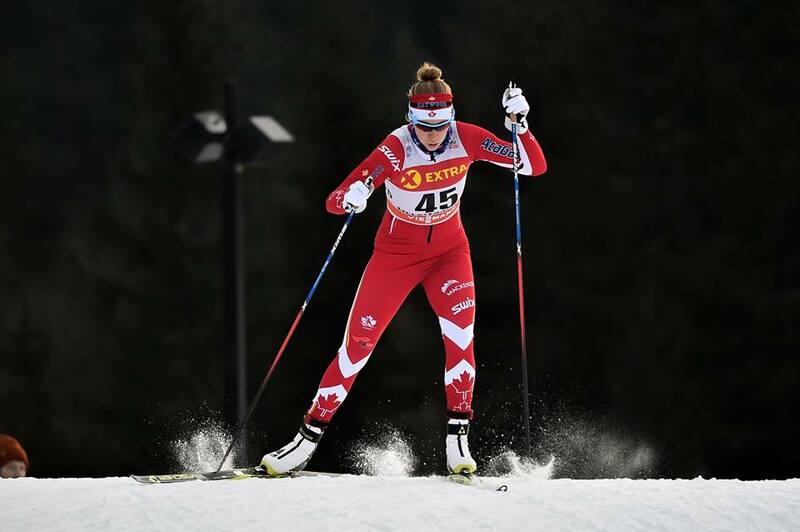 Fresh off of a 26th place in the Davos, Switzerland skate sprint, Beatty crushed the 10 km skate race in La Clusaz, France, taking the 26th spot yet again with a time of 25:22.2 on Saturday (Dec. 17). Heidi Weng of Norway won the race. Devoid of snow, the french race officials constructed a two kilometre course made from blocks of ice carved out of a nearby lake. The short loops suited Beatty just fine. After running in 35th early on the race, the 22-year-old began picking off competitors to climb into the points. It’s the first time a Canadian woman has been in the top 30 two weekends in a row in over four years, and represents another northern light for the Academy’s program. Proving her speed was no fluke, Beatty proved to be the strongest Canadian in the 4x 5 km relay, where she posted the second fastest time in her leg. I am also thrilled to have built off my 26th place in the 10km skate yesterday to ski the 2nd fastest time on my leg in the relay today, only 2.8 sec behind the fastest time. This is a huge achievement for me and now I am really looking forward to some rest and getting ready for racing in Soldier Hollow in January to prepare for U23 World Championships. Knute Johnsgaard finished up his time in Europe with a 63rd place finish in the 15 km skate race, and was slated to race the relay. However the Canadian men’s team got hit by illness and couldn’t field a team. “Knute is ready to come home. This has really opened his eyes to the level of skiing overseas. It really shows what a tenth of a second gain will get you on the World Cup. There is no room for error in those early races. Everyone is ready and itching to go,” said AWCA coach Scott Perras.